Johnny Was, known for its modern Bohemian fashions, has a look as laidback and vintage as it comes. It’s California dreaming and global meditation all wrapped into one. The company’s very existence was inspired by the classic mid-seventies reggae hit with the eponymous line, “Johnny Was a Good Man,” by Bob Marley. But behind the scenes, the pace at this L.A.-based lifestyle brand is anything but relaxed. Over 30 years, the business has nurtured its wholesale roots, expanding to reach approximately 1,500 specialty retailers and better department stores. Within the past decade, Johnny Was accelerated yet further, opening its own retail stores, launching an e-commerce website and creating a catalog. Its company-own store count has practically doubled in five years from 15 to almost 30, and e-commerce now represents about 20 percent of sales. Just two years ago, Johnny Was went live with an enterprise resource planning (ERP) solution from RLM Apparel Software to manage all aspects of its wholesale operations, including financials, design, EDI and warehouse management. 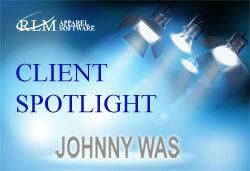 The system also provides critical linkages to the rapidly growing Johnny Was store network and website. Even more recently, Johnny Was deployed an integration between the RLM ERP solution and its retail software, which supports POS and fulfillment for the company’s growing chain of stores. In addition, the company launched version 2.0 of the Magento e-commerce solution. These systems will power fulfillment for both company-owned stores and the website, drawing on product data from RLM. 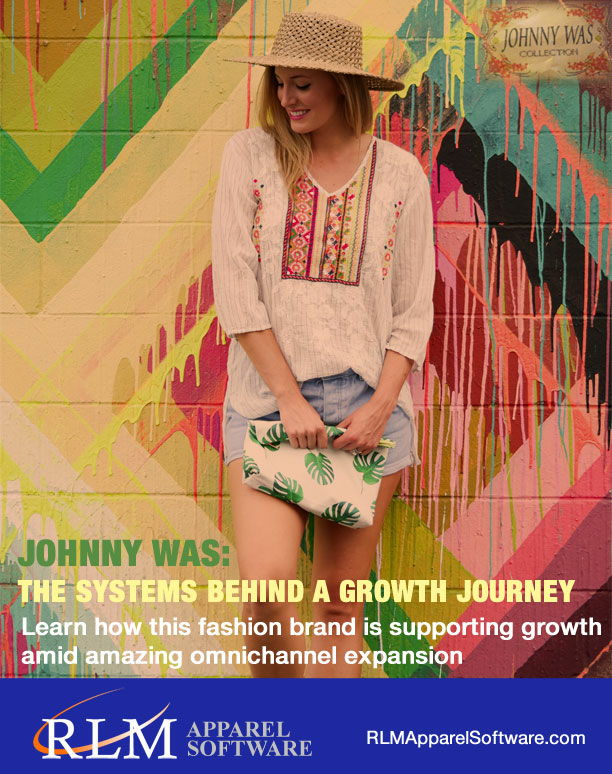 Johnny Was is leveraging technology to meet customer demand across numerous customer touch points, from its network of specialty retail partners to its own stores, website and catalog. Scalable systems are able to support simultaneous growth from all of these channels without the need to add more staff, facilities or third-party logistics providers. Everything can keep on flowing through the company’s L.A. operations, where it all began back in 1987, to the echo of a reggae ballad. That’s Johnny Was. Click here to read the case study "Johnny Was: The Systems Behind a Growth Journey"